Now, let’s dwell on some of the better things that happened in the men’s LP first shall we? Javier Fernandez was a wonderful drunken pirate and delighted us with a beautiful quad and some Pirates of the Caribbean action despite popping a triple axel. He came back strong with a triple toe. Adam Rippon delivered with a beautifully lyrical performance to Rachmaninoff’s Concierto No. 2. 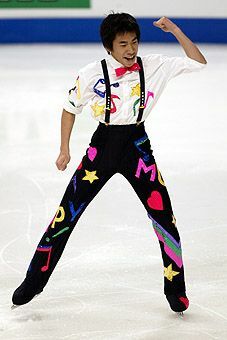 Some highlights include his ever so famous Rippon lutz and a Tano lutz, tano-armed double-toe, double-toe combination. I personally would’ve marked him above Chan but that’s when the evening started going to hell. 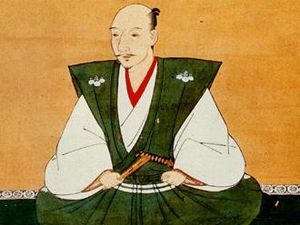 Oda Nobunari didn’t deliver his best performance. He fell on a triple axel like Chan did and had a few minor bobbles like Chan. He scored exactly 3 points below. I would’ve given him around the same score as Chan. Alas, no, because Skate Canada is in Canada and they enjoy giving out random points to Patrick Chan just because he’s Patrick Chan. He landed a quad toe, had a triple axel implosion and popped another jump but hey, he’s Patrick Chan! So he won the LP. RAGE. With his totally inflated score from the SP, he WON. RAGE. I am praying that Aunt Joyce, a blogger I respect very much, will agree with me and say that he should’ve been off the podium. Third place if one is to be kind. Details of the scoring here. I am now eating dinner in a state of rage and disgust. Against PJ Kwong’s picks, I have one victory in pairs after Iliushechkina & Maisuradze’s win and one victory for PJ now that that apighoraihnfv;oiasdhf;iosjfd;iahoi;fhdjf;a has won. Excuse me while I find a way to channel my rage. Edit: After reading some comments on ontd_skating that seem to express the same rage I’m feeling, I feel a little better and hopefully I can eat the rest of my dinner without the desire of throwing up at what just happened. I didn’t watch the entire first flight but here are a few highlights. Javier Fernandez, our darling drunk – I mean, drunk pirate skated with a giant pink bow, a bright green shirt and a purple jacket. My eyes were burning after the performance and I think he lipped. Strange, when skaters usually flutz. Still, I can’t wait to see him in a year or two. Spain might have a skating star soon. Kevin Reynolds did 2 quads in a short program! (Quad salchow-double? toe combination and quad toe) According to CBC, it’s the first time that’s been done. A shaky and possibly underrotated triple axel though. I was kind of bored throughout the program. Cute kid though. Hopefully he’ll be more humble than Patrick Chan when he’s national champion. Adam Rippon delivered a performance full of commitment. His Rippon lutz was a bit shaky in the air but his triple axel and triple flip, triple toe was absolutely gorgeous. I would’ve marked him higher than Reynolds but the quads outweighed it all. Hopefully Adam can catch up during the long. I actually really like his Rachmaninoff program. Patrick Chan, the local favourite, was a hot mess. I expected him to implode on his triple axel and probably fall on his quad since it was his first time doing it in competition – which he did – but falling on a step sequence!? Wow. That was unexpected. Funnily enough, even the live blogger from CBC (Tony) claimed, “He ain’t winning, Beth.” LOL. That’s a shock. What’s even more shocking are his marks. Totally overscored. It’s official, PCS = Patrick Chan Score. He just randomly gets high PCS even if he falls 3 times because he is Patrick Chan. I am disgusted and even less compelled to cheer for him. Nobunari Oda brought out his samurai blood and skated to some intense shamisen music. David Pelletier said he was too business-like but hey, he’s being a samurai! He’s channeling his ancestor, Nobunaga Oda who was one of three warlords to unite Japan after a period of disorder. The landings of all of his jumps caressed the ice and I loved it from start to finish. Good job Nobu! *pinches his cheeks* Now rock everyone’s socks in the LP! After a wonderful start to the figure skating season last week at NHK, I have only one word to describe Skate Canada: mediocre. Why? Well, the only competition worth watching is the men’s while the other disciplines are filled with B-listers. You doubt me, I hear? Well, let’s take a look at the competition. The babyfaced daddy, Nobunari Oda will have to prove himself this weekend after a disastrous showing at Worlds last year where he didn’t even advance to skate his LP. We’ll also see if “the perils of coaching changes” has affected Oda since he’s left Morozov for his former coach, Lee Barkell as Morozov has left for mother Russia to ensure her dominance in figure skating at Sochi. In any case, Oda has talent, beautiful jumps and if he has a program like his Charlie Chaplain LP last year, he can charm the pants off of anyone. As long as it doesn’t result in a shotgun wedding again because he can’t be married again. Another interesting entry will be Adam Rippon who beat two Vancouver Olympic medalists at the Japan Open. Rippon’s lyrical style is absolutely a pleasure to watch and he’s slated as the next men’s figure skating star. We’ll see if he fulfills this high expectation this year. With most of the American men off doing TV shows and photo shoots, Rippon has a clear shot at the National title if he beats Jeremy Abbott, who seems to peak around that time. I was rendered speechless when I saw the ladies roster for Skate Canada. Not out of delight but out of pure and total suckiness. Ksenia Makarova might be the only exciting competitor out there. She’s improved greatly over the summer and I think she’s the only one who has a triple-triple in her arsenal. Cynthia Phaneuf finished a respectable 5th but she tends to have a rough start to her season, not to mention that Phaneuf is a total headcase. Let me repeat that for emphasis: TOTAL HEADCASE. Okay. Speaking of headcases, Alissa Czisny will be there as well. Who knows where she’ll end up. As for the rest… let’s let them prove to me that they are worth mentioning. Agnes Zawadzki will also be an interesting entry. She had success in the junior years. I wonder what kind of splash she’ll make in the senior ranks. Well, Dube and Davison are gone due to injury. I don’t see that as too much of a loss since my respect for them has diminished forever due to their complete inability to skate to Carmen. For those who don’t understand why I see this as a crime, let’s just make this analogy. Not being able to skate to Carmen is like… being a patriotic citizen without recognizing your own national flag. Or being illiterate while studying at Harvard. Or… a lot of things. You get the point. Anyways, the problem with the pairs competition is that there is absolutely no clear contender. A trusted friend, whose opinion I respect (and who I might invite as a guest blogger) likes Iliushechkina & Maisuradze, who finished 4th at Junior Worlds last season. It’s a long shot but no one is extremely spectacular and despite Kwong’s assertion that two single skaters will make a good pairs team, I would care to disagree. Vanessa Crone and Paul Poirier are hometown favourites after a top 10 finish at Worlds. Don’t ask me how I know but Poirier started at university this year, which may or may not affect his training seeing at how busy university and classes can be. In any case, they’ll face tough competition from the Kerrs. There will be a free for all for the bronze as far as I know, so I hope that a team might delight me by surprise. I apologize for the long delay in covering the Pairs competition. I also realize that I lack coverage on the men’s SP but time constraints and my horrendous workload has forced me to these brief statements before I do my predictions for Skate Canada and then basically become a hermit for undisclosed reasons. It seemed to be a fabulous night all around. 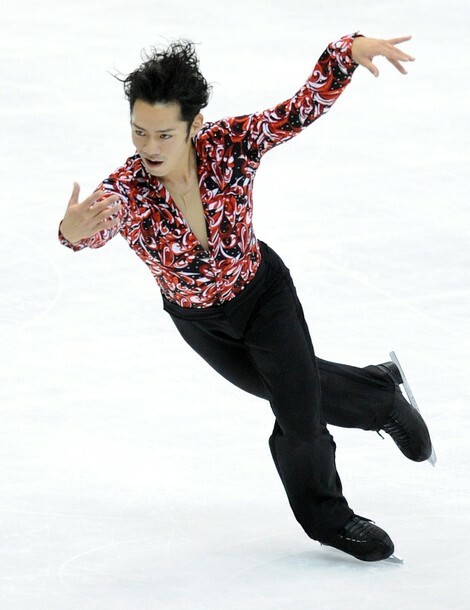 Daisuke Takahashi’s shirt was pretty distracting but the tango SP suited him very well. I do worry at the fact that he’s using Latin music for both programs this year since you want to show the judges that you aren’t a one trick pony but I think they can forgive Daisuke. He’s awesome after all. Thankfully enough, Jeremy Abbott toned down his Lysacek-esque frantic/epileptic arm waving in his flamenco SP. I still prefer the marriage between him and Shae-Lynn Bourne choreography but I guess he wanted a fresh start after his disastrous showings at the Olympics and Worlds last year. I will have some snark or comments on Florent Amodio who won bronze and Shawn Sawyer who was 3rd in the SP once I have time to watch them. Pang and Tong obviously won with a 16 points lead despite their mistake-laden LP. However, with the silver medal going to the Russians, they’re showing that the Russian Figure Skating Federation is not wasting time in trying to put up a strong team for Sochi 2014. Even now, I can see clear contenders for the ladies, pairs and ice dance competitions. A development that is both interesting and sad is the fact that Narumi Takahashi and Melvin Tran winning bronze. I say that it’s sad because it reflects the sad, sad state of pairs skating today. Now that Shen and Zhao are back in retirement, we have only the Germans and a few Chinese teams at the top and the rest are still way, way, way, way, wayyyyyyyyyyy below them. Also, these two have a HUGE problem if they want to compete at Sochi 2014. Tran is a Canadian citizen and if he wants to compete for Japan, he’ll have to get Japanese citizenship. Sounds simple, right? Wrong. Japan doesn’t allow dual citizenship so if he wants to seriously compete, he’ll have to renounce his Canadian citizenship. To many fans, that seems like a small price to pay to compete in something as epic as the Olympics but in all seriousness, a Canadian passport is probably one of the best to have in the entire world and I’m not saying that out of nationalism. Although I’m not too familiar with Japanese diplomatic relations but if I were Tran, I would be wary of losing that precious passport and the rights and protections that come with it..
Other than that, Takahashi and Tran have a lot of technique issues to work on. For example, they only did a double twist in their LP while their main rivals from the junior ranks, 2010 World Champions Sui Wenjin and Han Cong of China have been attempting – with some success – quad twists and throw salchows. (!) In any case, the fact that the junior world champions have been able to beat a few veterans and Olympians is a bit sad and I hope to see some changes soon. Now, onto Skate Canada predictions! So, PJ Kwong has recently blogged about Mao Asada’s decision on switching coaches. For those of you who know me personally, I often disagree with Kwong on gold medal predictions – especially when her predictions are often heavily influenced by a clear and almost inevitable sense of Canadian nationalism which I don’t share despite my Canadian citizenship – and during those rare times when we do agree, it seems that something horrible happens to one of my favourites. In any case, it seems our differences in opinion diverge even more on the topic of Mao Asada and her coaching changes. While Kwong argues that Mao’s coaching change seems “strange” especially with her success at the Olympics and Worlds, let’s point out a few things. First of all, diva coach extraordinaire Tatiana Tarasova has admitted that she felt bad for not being able to coach Mao to her fullest extent because she had to take care of her sick mother. Mao also didn’t stay in Russia because her parents couldn’t go with her to all of these foreign countries to train, which compromised the quality of her coaching/training. Secondly, if you haven’t noticed, Mao’s programs for the last two years have not been favourably received. Yes, she’s won competitions but face it, did any fan (or judge) really think that her Bells of Moscow program really suited her? Why do you think she’s gone back to her more lyrical and flowing style? Mao’s scores at the Olympics and Worlds last year were high but remember that a) she was former world champion b) she’s a figure skating superstar and cash cow for the ISU, therefore her name carries some weight in figure skating politics and c) her coach and choreographer was the diva and figure skating mafia boss Tatiana Tarasova who has nurtured more world and Olympic champions than any other coach in the past couple of decades. Being a world champion doesn’t mean that you stop growing and fine-tuning your technique. Mao has had HUGE technique problems that have been detrimental to her scores and is a reason why she can’t break Yuna’s records. Mao is famous for her triple axels but infamous for being able to land them 1 out of 3 times and underrotating or falling on the other 2. Her flutz (whose negative GOEs are equal to falling) has been equally as infamous thanks to the Yunabots on youtube and Mao herself has admitted to being uncomfortable with her salchow – which she hasn’t attempted in years and yet ironically enough was one of the jumps she landed successfully on her LP at NHK. Also, being a world champion now doesn’t mean that you’ll be world champion forever. If Mao is serious about her intentions to compete for the gold at Sochi, she will have to fix all her mistakes seeing that her lack of lutz definitely had a role in hurting her scores at the Olympics and also because she will potentially face competitors who may be even better than Yuna Kim. The Russians will not sit still with such a horrendous showing for figure skating medals at Vancouver and potentially in their arsenal for Sochi is the immensely talented Adelina Sotnikova and Elizaveta Tuktamysheva who has Papa Mishin behind her and has shown that she is able to execute triple axels in practice. It should also be noted that Tuktamysheva’s scores at the junior level exceed the scores posted by Yuna Kim when she was a junior. Finally, Kwong questions whether Mao can recover from her disastrous showing at NHK. 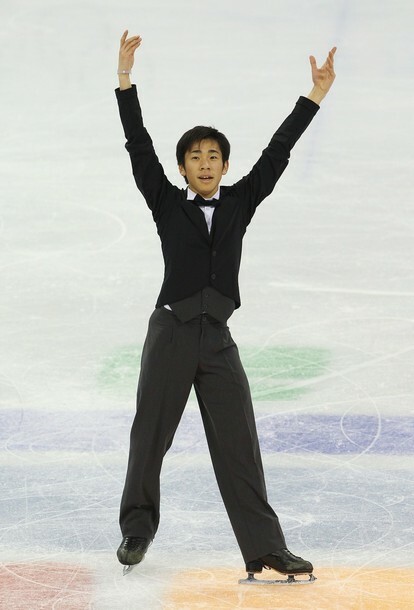 A news article released shortly after the competition states that Mao has vowed a comeback. She may not be able to make the Grand Prix Finals but Mao states that she hasn’t fallen into pieces emotionally and that, ‘‘During the off season I have been rebuilding my jumps but I haven’t perfected them. They are getting better and better but are not in my system yet and that is part of the problem.’‘ Mao seems to be going for long-term improvement which shows a lot of emotional maturity. With this frame of mind, she might be able to improve herself in time for the next Olympics. Thoughts? Opinions? I love comments! 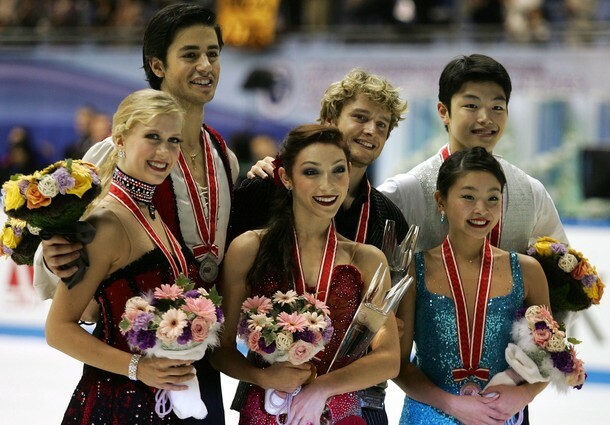 This was the podium that I wanted to see since looking at the entries for ice dance at NHK. I’m so surprised that my wish came true! As expected, Meryl and Charlie won. They delivered a feisty tango. I still like Samson and Delilah and PotO better though. The Shibushibus have my favourite FD so far. They have wonderful lines/extension, lovely unison, great free legs. I can see a bright future for them. The baby Russians delivered a pretty good performance of their Don Quixote FD. It didn’t have the cleanliness and smoothness as the Shibushibu’s FD but I think it would’ve been sufficient for the bronze. Then again, they don’t have Queen Marina coaching them, which makes a world of difference. Anna Cappellini and Luca Lanotte had a lovely, jazzy, sultry FD but they messed out on their twizzles and screwed up their lift. They are a lovely couple but they don’t quite have the soul to soul chemistry that some other pairs do. Anna definitely wasn’t happy with Luca at the end of that performance. I can see a Fusar Poli/Margaglio glare contest for these two sometime in the future. I look forward to it.